On Thursday we took boy no.3 and boy no.4 to the Legoland Discovery Centre at Manchester Trafford Centre to see a preview screening of the new Lego 4D movie which is officially released this weekend. We've been to the Lego Discovery Centre many times, we bought Annual Passes last year and used to go in and have a coffee while the little ones and boy no.2 played and the girls went shopping - something for everyone. We have never been at night though, and we've never been on a school day. Boy no.3 knew all about it, and was incredibly excited, he had even explained everything in great detail to his pre-school teacher and the rest of the Foundation Stage (age 3-5) children. When we got upstairs I was delighted to see that not only was Pippa aka Red Rose Mummy there, but I also got to meet two other bloggers who I've harassed with inane comments several times - Jen from mymummiespennies, and Laura who doubles up as Tired Mummy Of Two and Blogs Up North. 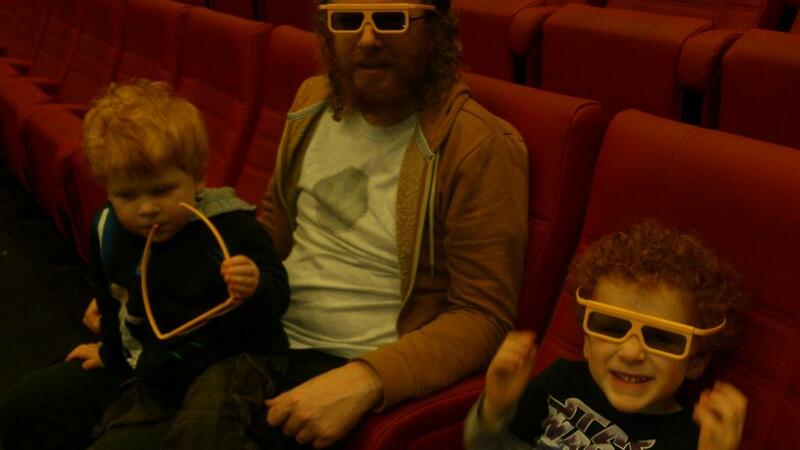 My boys are very used to the 3D glasses, and because of our prior knowledge we knew where to sit in order to get full benefit from the 4D special effects (i.e. we sat at the front because we don't mind getting a bit wet!). The film was brilliant. We've been waiting for a new film for a long while now, and it didn't let us down. The story was fairly basic and straightforward enough for boy no.4 to follow easily, but interesting enough to hold an adult's attention. It features a tour of Chima by 4 young animals and their guide which starts out as a normal tour but they become increasingly involved with other characters in the land. There was action and there were jokes (watch out for the skunk) and the 12 minute film introduced a lot of the Legends of Chima characters and Lego sets, including a great Speedor race between Cragger the Crocodile King and Laval the Lion Prince. This time the film seems to have made much more use of the lighting on the walls at either side of the room, using it to enhance what is happening on screen, depicting water, greenery and the special powers that the Chi Orbs have. The 'snow' 4D effect seemed much better done than before, it covered the crowd much more thoroughly and floated down really effectively. Be warned there is a lot more water than in the previous movie and although you will still be dry after 5 minutes you might find tiny children aren't impressed and it's better to sit further back than the first 5 rows! 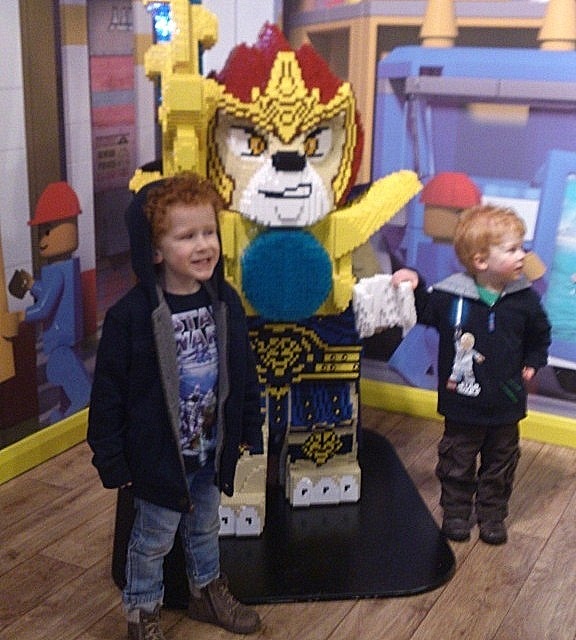 The Legoland Discovery Centre is at Barton Square, Trafford Centre, Manchester. It is open daily from 10am all year round and is entirely under cover. Until 2nd June there is a special Star Wars miniland display and special events include a Star Wars weekend May 18th & 19th. I'm just working on my post. It was fab wasn't it? We'll definitely be back. I'll have to bring OH next time. I think he'd love it too. Wow! It look great! Maybe one day we can meet there!